Well Bompas and Parr certainly knows how to throw one. 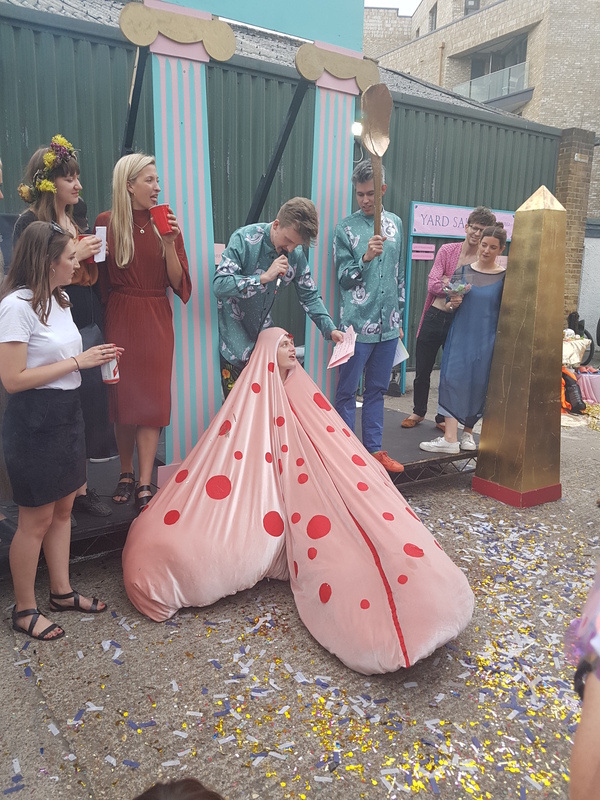 They held a party to celebrate their 10th Anniversary in June and me and some of the community of Love Pop Ups London had the pleasure of being invited along. This was one of the most fun, wackiest and thrilling parties I and the community have ever experienced. To find out more about Bompas and Parr and their latest events click here. Thanks to Bompas and Parr who let some of us from the community of Love Pop Ups London come down to experience your very mind blowing party. Read our blogs/reviews from our comments below. Bompas & Parr celebrated their 10th Anniversary by opening up the studio for the first time and realise ‘all the projects deemed too strange, repulsive, provocative or dangerous to be singed off by clients or collaborators’. I met a unicorn, become waste and went down a chute and held a crossbow. Just a few of the extraordinary event that night. A party you’ll never imagine… is right here! It’s time to Bompas and Parr-ttty!!! The wackiest event of this century.